How do you see Jones` "Im just a little boy" - act? Discussion in 'The Lightweights' started by Melas Chasma, May 20, 2014. I undestand his toe was hurt, but he was really like weeping and looked like a little kid who wanted his mama. He also squeezed his belt (subconciously?) like it was his teddy bear. Was he really just that scared or is this all just act? After Gus fight he was weeping again. I dont think I have ever seen a fighter crying just because of the damage he took in the fight. Why do you think Jones acts like this? Its like he wants us to watch how hard time he is having? 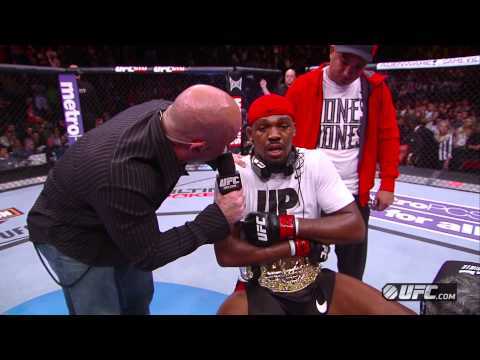 I remember also how in Jones vs Hamill when they announced the fight Jones was standing his hands behind his back, shoulders raised to his ears like he wanted to look like some little boy who had just got caught from stealing apples from neighbours yard (because he had broke the rules). So my question is why does Jones like to act like a little boy in some situations? He obviously has some (subconcious?) motive behind that. if my toe looked like that, i'd be flipping out too. i've met him and he's not cocky like people think he's totally down to earth and cool to everyone. I thought I'd seen just about every possible way to veil a JBJ hate thread, but then you come along with this thread and prove me wrong. 3/10 for at least being creative with your Jones hate. This fighter gets his toe ripped off, finishes the fight and afterwards sees his toes ripped off. He gets interviewed and finishes it, and you virgins are still hating on him. Why does Dan Henderson not talk very much? But would you have acted like that? Its ok to show your pain but why Jones did it that way, acting like a kid, weeping, squeezing his teddy etc? Im not hating him for being shooked up. Im asking why Jones has a habit to act like that specific way? Honestly idk what you all are talking about. This thread was 9/10 for the laughs. Nice work TS, you got several people to bite! Whats your take on the subject? Why Jones acts like that? I find it really interesting.